The activity of Neri&Hu is founded on constant research and the desire to work on the dynamic interaction of experience, detail, material, shape, and light, rather than adapt to stereotyped formulas. In a blend of tradition and innovation, Yanzi is a lightweight composition of graphic signs. Balanced structures, such as branches or perches, support multiple stylized figures to provide a variety of versions and qualities of light. 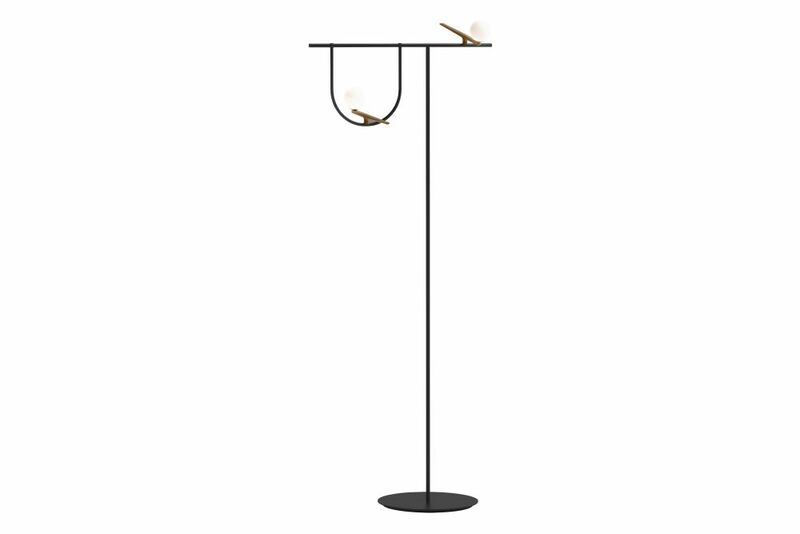 They are iconic swallows with a brushed brass body, with their head like a white glass sphere enclosing light, either flying free or contained in glass cages. There is unique sensibility in matching warm and cold, essential yet refined materials. Yanzi is an open system, ideal for creating lightweight compositions and light landscapes that animate any space with an elegant poetic attitude.